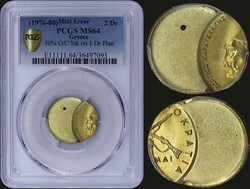 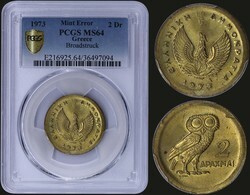 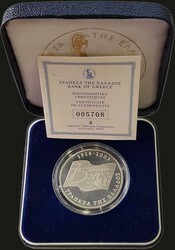 A. Karamitsos: A.Karamitsos 621. 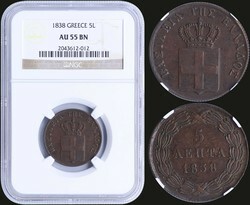 Auktion Auction already ended! 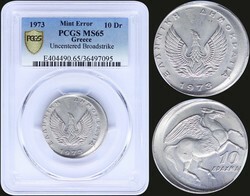 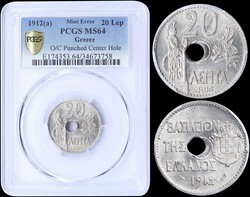 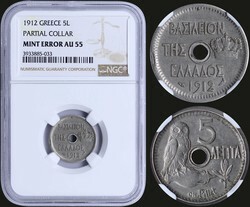 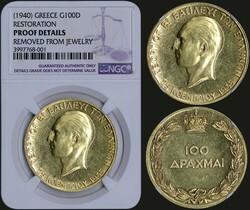 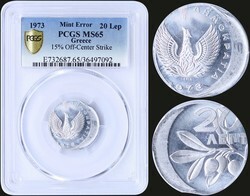 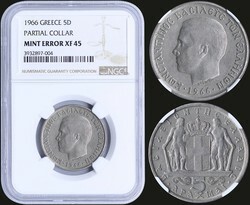 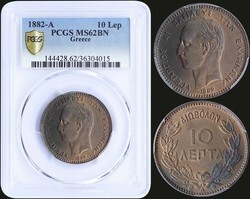 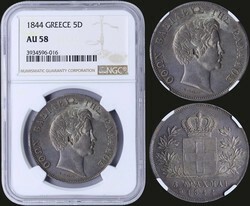 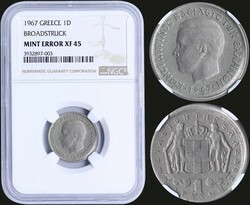 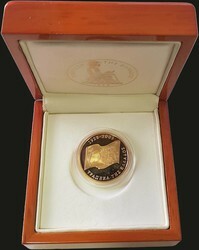 GREECE: 5 Drachmas (1844) (type I) in silver with "ΟΘΩΝ ΒΑΣΙΛΕΥΣ ΤΗΣ ΕΛΛΑΔΟΣ" (young head). 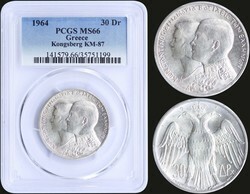 Inside slab by NGC "AU 58". 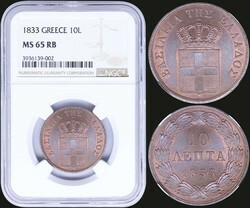 (Hellas 113).